Those who enjoy shooting GLOCK pistols and want to shoot them in competition can now find the best of both worlds as part of the indoor shooting range competitions at Bristlecone Shooting, Training, and Retail Center. These matches are great for those new to competitive shooting, as all of the courses of fire are completed in the booth; nothing is done down-range. Bristlecone is excited to introduce GLOCK Sports Shooting Foundation, GSSF League Match competitions at the facility. A GSSF League Match is a series of three matches conducted over a three-month period. Participants must be current GSSF members and compete in two of the three matches to qualify for plaques and prizes. If you are not currently a member, you may join online at this website: http://gssfonline.com/registration.cfm, or upon registration at a GSSF League Match at Bristlecone. An annual GSSF membership costs only $35 for new members and $25 for renewing members and allows you to compete in any GSSF match. Bristlecone charges $20 to participate with 1 gun and $30 to participate with 2 guns. Competitors may shoot any GLOCK pistol. The Lewis Prize Allocation system is used to distribute awards as equitably as possible. Each separate pistol used during the match will be a separate entry. Your two best scores of each entry during the series will be totaled and averaged at the end of the three-match series. If a shooter competes in only two matches, his/her scores for each entry are totaled and divided by two. If a shooter competes in all three matches, his/her best two scores for each entry are totaled and divided by two. The result is one final score for each entry, which is then listed in the overall order in which he/she finished. The overall list is then divided into thirds, with the top one-third considered “A Class,” the second one-third is “B Class,” and the final one-third is “C Class.” Plaques are awarded to the top competitor of each class. Unlimited Class is available for non-stock GLOCK pistols. 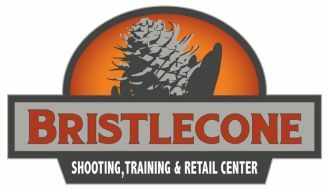 To learn more visit Bristlecone Shooting, Training, and Retail Center online or call 303-985-0989 to register.